From little things, big things burn. 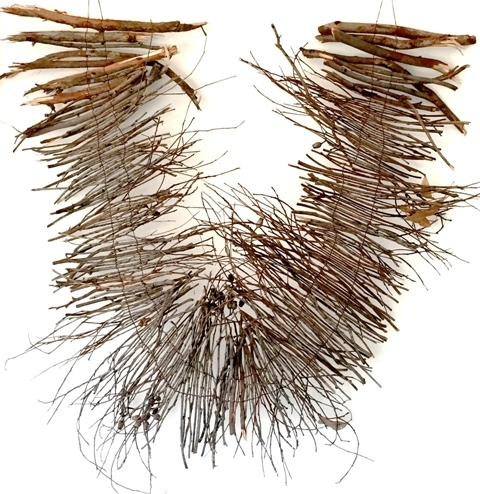 Material: Eucalyptus Gum Branches, waxed linen thread. Size: 80 (h), 80 (w), 35 (d) cms.